After 30 years, it was time to give a speech few such long serving senators want to give. 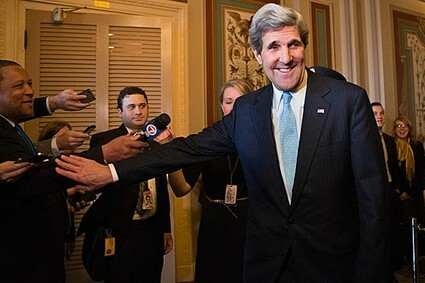 Even if you are going on to bigger and better things, as is John Kerry, who will head the State Department. As he stood for the last time at the small wooden desk used by his predecessors from Massachusetts, John F. Kennedy and Edward M. Kennedy, his emotions took over and he could hardly speak. That is rarely a senator’s problem! His speech was a tribute to him and to the Senate he loves. It brought out the best in John Kerry, someone who has fought for his country and fought for what he believed in his whole life.